Nothing blends into the countryside as well as Oak. 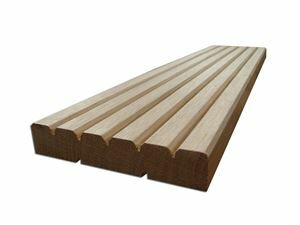 Oak decking boards therefore are an attractive and durable option for your garden. Particularily useful for areas of high use they can withstand many years of heavy footfall. Our decking is finished 19mm thick. Random lengths 1.5m and longer (max 3.0m). If you require set lengths then please contact us before ordering. Current Availability approximately 7 to 10 working days from receipt of your order.